The Molten ® V5M5000 Flistatec Volleyball is the official match ball for British universities and College sport, London Youth Games and British College sports. The ball has been developed using Molten Flistatec Technology, which stands for Flight Stability Technology. This ball is approved by FIVB and is set to revolutionise volleyball design. Boasts increased ball control and improved visibility. By improving the air-current around the ball while in flight Molten has succeeded in increasing ball control during play. Ground-breaking research by Molten revealed that by placing raised hexagonal shaped designs on the surface of the ball, the manufactuer has been able to enhance the flight stability of the ball. Further improvements include the adding of a softer, thicker microfibre layer to the ball which, when combined with the secure nylon wound layer and the uniquely designed hexagon surface layer, increases the grip and allows for firmer, more accurate overhand passing. 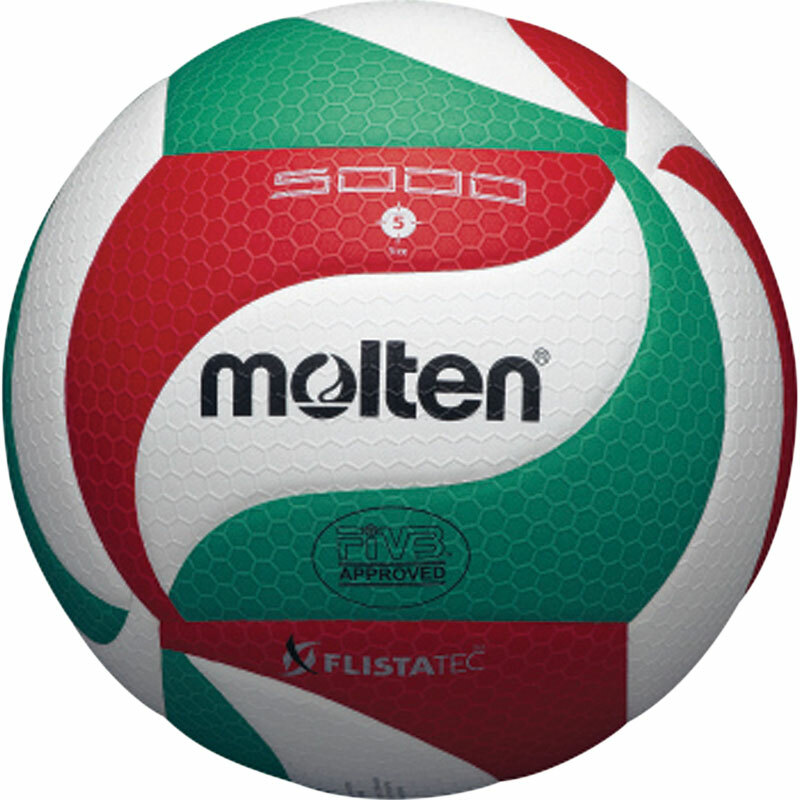 In addition, Molten has improved the visibility of this new ball by placing three streamlined panels on each side of the volleyball, complementing Molten's existing panels of which, red and green, and thereby creating a smoother rotation motion and greatly enhancing visibility. Bit heavier than equivalent model of mikasa (in my opinion). Still very good ball! Seem to be slightly hard on your hand but it gets better with the time. Feels heavy and hard with poor cushioning, not as good as the equivalent Mikasa. We will not purchase any more and will purchase the Mikasa variant in future.